Did you know that just by applying your usual skincare routine every day, you may be subjecting your skin and your body to hundreds of toxic chemicals? Scary, isn’t it? And even worse, many of these chemicals have the ability to alter your hormones. So what chemicals should you be looking to avoid in your skincare products? 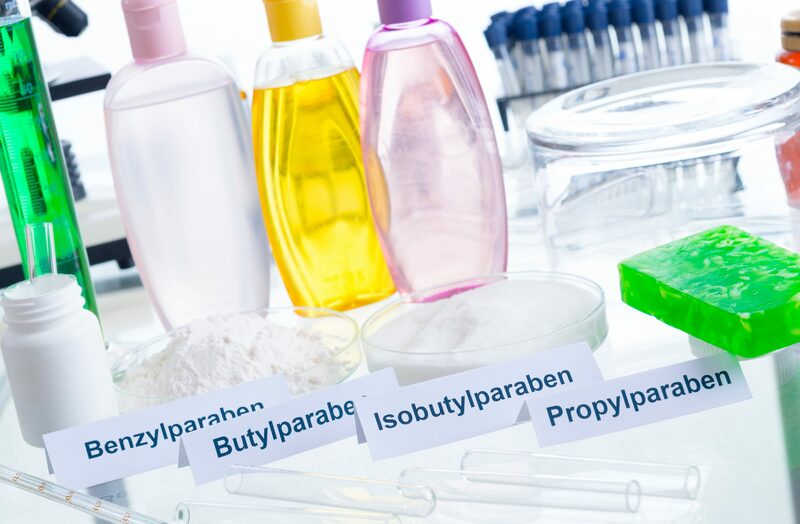 Parabens are something that are contained in many, if not most, standard skincare products. And, they are also something that you want to avoid at all costs! Used as a preservative, they have the unfortunate effect of mimicking oestrogen hormones in your body, increasing your risk of certain cancers like breast cancer. SLS acts like a de-greaser, and as such, is found in products like floor cleaner and car cleaning products. Alarmingly, it’s also used in soaps, shampoo, cosmetics, toothpaste, and other skincare products. In fact, up to 90% of personal care and cleaning products can contain SLS. Since it’s designed to dissolve grease, when it’s applied to your skin, it dissolves the natural oils on the skin’s surface. This results in your skin becoming dry. In addition, this allows other environmental contaminants to penetrate to the deeper layers of your skin, causing damage there. SLS is easily absorbed into the body, and like parabens, it mimics oestrogen, leading to a variety of health conditions. These chemicals are all variants of the ethinolamine family, a group of ammonia compounds used as pH balancers or emulsifiers. They are used in makeup and skin care products, as well as hair care and fragrances. The ingredients ‘fragrance’ seem harmless enough, but under Australian law, the details of these generic terms are not required to be disclosed. The truth is that any of the 5000 or so chemicals that make up synthetic fragrances could be used in your products, and many of these are untested for human safety. Petroleum derived chemicals are common, and others are carcinogens – cancer causing chemicals. Aside from the obvious allergic type responses that people experience, synthetic fragrances can also cause headaches and skin sensitivities. Choose instead products that use essential oils to provide a scent. Not only will they smell divine, but essential oils have healing properties. A delicious scent plus natural healing for your skin is a far better choice than untested toxic chemicals. If your skincare products were labelled with clear warnings showing you the dangers of the ingredients, would you still buy them? I know I wouldn’t. Unfortunately in today’s society, it’s up to us to be proactive in avoiding toxic chemicals. Education is the key to preventing toxic ingredients entering your body. 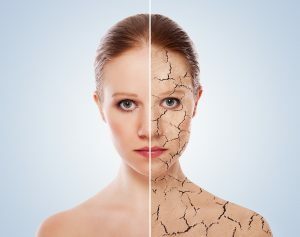 Avoiding chemicals in your skincare products will help you avoid dehydrated, sensitive, reactive skin that ages faster. Choosing skincare products made from natural ingredients is your best defence against absorbing toxic chemicals. I hand make each small batch of Nushka Skincare products, ensuring freshness and quality. 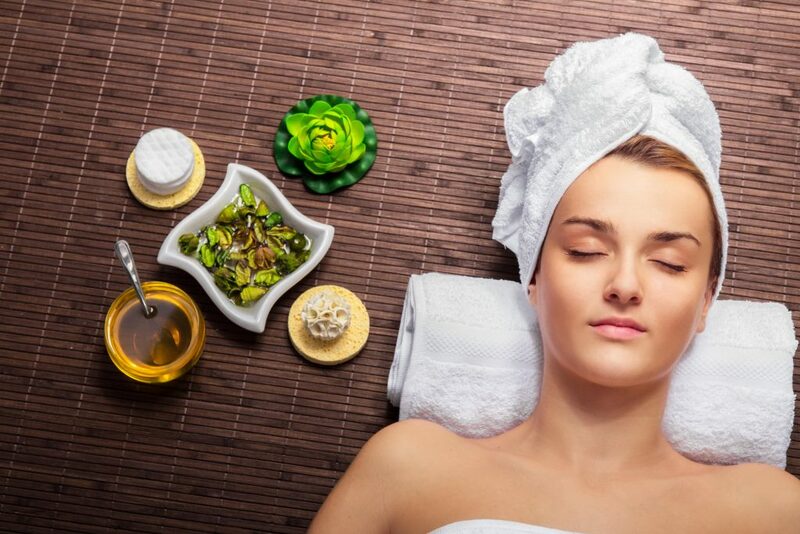 All ingredients are natural, and I use my knowledge and experience as a naturopath to include specific ingredients that have been used for centuries to assist with skincare conditions. All Nushka products are created from precious natural and organic ingredients, free from harmful chemicals, contain no synthetic preservatives, are vegan friendly and cruelty free. Fragrances are added using quality essential oils so you experience that delicious scent without any danger. You can safely choose Nushka Skincare products knowing that they will provide positive benefits to your skin.